If you or your loved ones are in need of medical care for a non-life threatening injury or illness, visit Davam Urgent Care located near The Woodlands, Texas. Our state-of-the-art facility is staffed with board-certified medical providers who have experience treating a wide range of medical conditions. So, whether you or a loved one is dealing with a sprain, bone fracture, sinus infection, allergic reaction, or any other non-emergency issue, you can visit us to receive five star service and care. When you require bronchitis treatment, the last thing you want to do is wait days to get an appointment with your primary care physician or endure a long wait at the emergency room. At Davam Urgent Care, we understand that you want fast, high quality care from experienced medical providers in a stress-free environment, and that’s exactly what we provide. Our office in the Woodlands, TX, is open seven days a week from 8 a.m. to 9 p.m., so when you or one of your loved ones needs care, simply visit us, without an appointment, at the time that is most convenient for you. 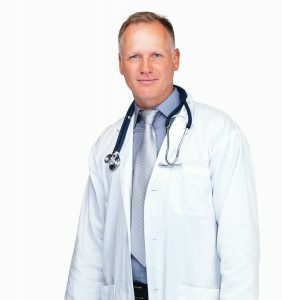 In addition to providing the residents of The Woodlands, TX, with convenient access to a wide range of medical services, including bronchitis treatment, Davam Urgent Care offers straight-forward pricing that is far more affordable than that of the hospital or a freestanding emergency room. And, unlike many other walk in clinics, we’re in-network with most insurance providers. If you or a loved one needs bronchitis treatment, don’t delay – visit Davam Urgent Care in The Woodlands, TX, today. To potentially skip the wait in our lobby, sign in for your appointment now using our online check-in system. Easy to make appointment online. No wait, however I was their first appointment of the day. Nice and knowledgeable staff from check-in to check-out.